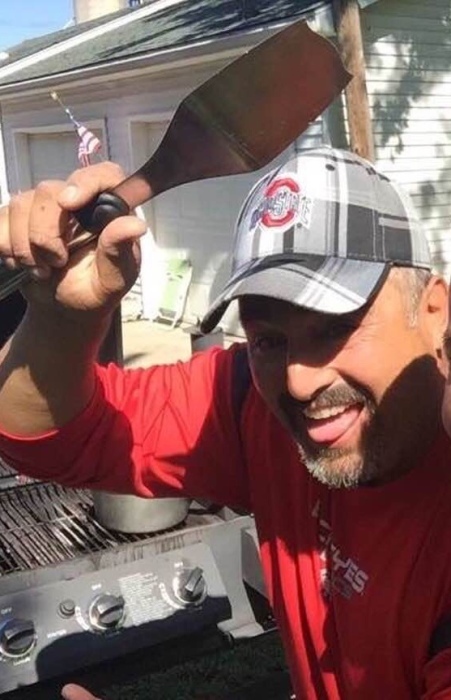 Stuart J. Ramos, 47 of Van Wert, died at 12:34 p.m., Tuesday January 29, 2019 at the Lutheran Hospital of Indiana in Fort Wayne. He was born on May 20, 1971 in Van Wert, Ohio, the son of Philip & Penny (Parson) Ramos, Sr, both of Van Wert. On June 18, 2005, he married the former Jamie L. Colegrove, who survives at the residence. Stuart was employed at Eaton Corp. in Van Wert and had worked at Fleetwood in Decatur, Indiana. He was a veteran of the U.S. Navy. He attended Jennings Road Church of Christ in Van Wert. He loved his fishing, grilling, and Hawaiian shirts; and was an avid O.S.U. fan. He also was his daughter’s assistant soccer coach. Family survivors include his four children, Sean (Destiny) Ramos, Olivia Ramos, Jordan White and Tyler White all of Van Wert; two grandchildren, Kamdyn and Kyson Ramos; a brother, Philip (Tricia) Ramos, Jr., of Van Wert; a sister, Tonya R. (David) Andrew of Defiance, Ohio; and also many nieces, nephews and extended family. Visitation is scheduled for 1 - 7 p.m., Friday, at the funeral home and one hour ahead of the service at the church on Saturday. Memorial contribution be considered to his daughter, Olivia’s Sister City Cultural Exchange Program Trip.